I got "attacked" by hundreds of butterflies on campus today. 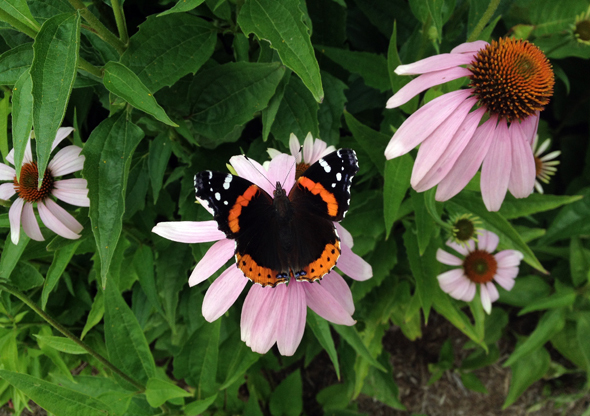 I didn't know this before, but apparently, butterflies love cone flowers. If you have some space to spare, consider growing some cone flowers and giving these butterflies flowers to pollinate!